When I look at some of their Twitter accounts (yes, I’m very nosey), I see that all they did was put out special offers, ads and it was all about them. The thing about Twitter is that it’s not really about YOU at all! Twitter is all about people. It’s about building relationships. It is NOT about what you want to say. It IS about what your target audience wants and needs to hear. But when it comes to using Twitter for business, there’s always an excuse why “it doesn’t work for me.” Well, I don’t buy it. If it’s not working for you (yet), here are some of the most common Twitter Marketing mistakes businesses make. Do you know why you are on Twitter in the first place? Is it because your audience is there? Is it to raise brand awareness? Build relationships? Get sales? If you don’t have clearly defined goals, you can’t know what success looks like. Set S.M.A.R.T. goals (specific, measurable, attainable, relevant, and timely) and make sure you’re always measuring for success. You follow big names and big corporations first. You follow the famous business leaders and maybe even a celebrity or two. It’s a natural way to start on Twitter. But then a regular person follows, you see they only have 25 followers, and you ignore them. I mean, only 25 followers? They can’t do anything for you, right? Wrong! This is a big mistake. Remember that the average Twitter user is only following around 200 accounts and has even less followers than that. And guess what? You’re potential customers/clients are mostly made up of average Twitter users! Always check out the people following your business. Chances are if they followed you, there’s a reason. If they look like a potential customer or client, engage them and start a dialogue. Not many businesses on Twitter do this. You’ll definitely stand out if you do. Just make sure you are providing value to potential leads first. 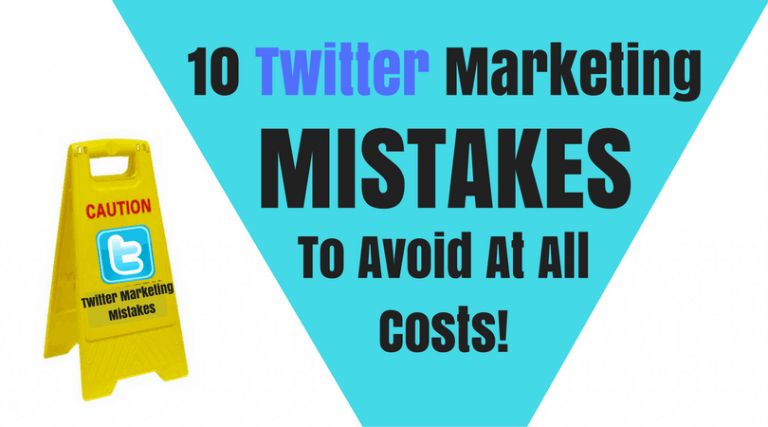 Going for the hard sale right away on Twitter won’t work 99 times out of 100. Always give before you ask on Twitter. But eventually you’re going to have to get to Tweeting. In fact, studies have shown that as you tweet more, your engagement will tend to go up exponentially! You need a content strategy when marketing on Twitter. Don’t just start pushing your product or service. No one is listening to you yet. You need to Build relationships on Twitter. Focus on building a community who likes you and wants to hear what you have to say! Just remember that people on Twitter come to learn, be entertained, build relationships or all of the above. It’s not all about selling. If people like your content and find your tweets entertaining and educational, they will help do your marketing for you! Trust me, even the people who have a huge following know when you retweet them and they will notice you if you continually engage with them. A great way to do this is to share one of their blog posts and tag them or retweet them with an insightful comment. Are you talking to your followers? When was the last time you went into your followers and saw what ‘Mary’ or ‘John’ is up to? Perhaps they are having a bad day. Comment and engage with them. Send them a nice tweet. If they put up a photo of the gorgeous sunset, say something like ‘That is beautiful’ or ask them where it was taken. People will love that you have noticed them. Remember that people will always remember how you make them feel. Twitter moves fast and there’s a lot of noise. It can be daunting even when you’re only following a few hundred accounts. Have you been using lists? Twitter Lists are a great way to fine tune your twitter experience because let’s face it you would like to enjoy being there also wouldn’t you? Make a list of your favorite tweeters, ‘awesome people’, ‘business tips’ etc. Thoughtfully adding people to a list is a great compliment. But Twitter lists can be used for so much more. 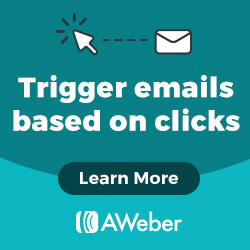 You can build private lists of potential clients or influencers you want to connect with. By setting a list to private, the people you add won’t be notified or ever know you’ve added them to a list. This is a great way to stay organized and build relationships on Twitter. Check these lists everyday and make sure you’re engaging with the members. Quick tip of what not to do: I once heard of a company who had a public list called “customers.” Any of their competitors could see their customers and potentially try to poach them! It happens to the best of us. You’re ready to talk to your followers but you’re just not sure what to say. Have you tried using Twitter polls and asking your followers what they would like to see? Ask about your followers’ pain points. Ask them what their challenges are in relation to what you are the expert in. Knowing this information will allow you to provide solutions in your Tweets. You can even start to craft blog or video content around these topics and then tweet links to it. Twitter is all about showing that you are the expert in what you do. If you show yourself to be an authority, your followers will recognize and pay attention to what you have to say. Ever seen an account where every tweet is an incomplete thought followed by a link to a Facebook post. Huge turnoff! If you have your Facebook account linked to your Twitter account, don’t. Unlink them. They’re two totally different audiences and platforms. Write your messages accordingly. Keep your tweets positive, use humor and keep away from controversy. It’s perfectly acceptable for you to have a sense of humor and be a bit more relaxed on Twitter than LinkedIn. But do steer clear of controversial conversations. There’s really no upside to getting involved in a controversial topic and the downside could be disastrous for your business. Without any Automation, it can feel like "It just takes so much time." You can Automate a fair amount of it, so you can get great results with 5 minutes or less per day. 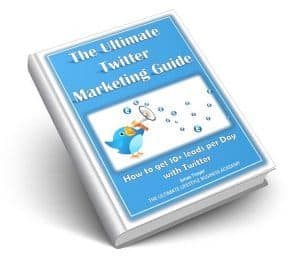 Click here for ﻿﻿﻿a﻿﻿﻿﻿﻿ Free Twitter Marketing Guide eBook, so you can use your time to do what's most important. Twitter is an awesome place to market your business, provided you know what you’re doing. 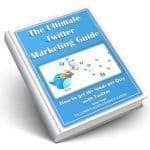 Hopefully this post has helped you along the way to becoming a more skilled Twitter Marketer. The truth is, the more you learn and the better you get, the more fun Twitter will be. And that’s a win-win for you and your business. Are you making any of these mistakes? Are there any I missed? I’d love to hear from you in the comments section! Thanks for this post. I’m guilty of constantly making several of these mistakes. Great post, thank you Jonas. Fill out the Info Below to Get Access! Let Me have it Jonas!